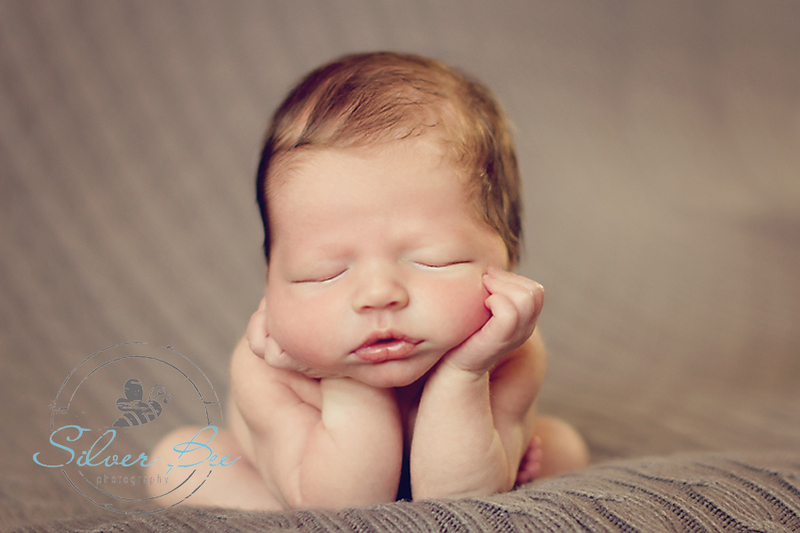 Seriously, how cute can this 6 day old newborn be? He has the perfect amount of plumpness, back rolls and chubs in the cheeks. He was a very sleepy baby so was very easy to pose and have some fun with. Oh, and don’t get me started on the hair! It just laid perfectly and his coloring is just gorgeous. 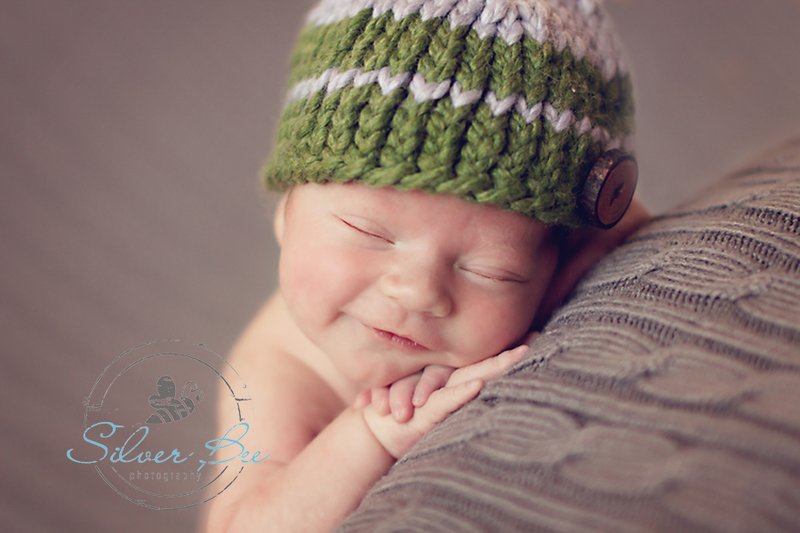 His mama received a session as a baby gift from her family and she was so delighted with the photos. There were so many wonderful photos that it was very difficult to pick a favorite. This family is so blessed to have this little one arrive and you can just feel the joy his mama has for him. We agreed that this was our favorite photo, but again just about all of them were my favorites. You can have more than one favorite right? Oh heavens, he is just so sweet. This was one image straight out of camera that just made me swoon. Absolutely perfect little guy. He is so cute that he really just looks great on his own, one might say he is his perfect accessory. Or perhaps his hair is his perfect accessory. Man, he is cute, can’t argue that. We used this picture on the front of his birth announcements and it turned out great! He is going to be a heart breaker some day and have the girls lined up outside his door. It is always amazing to see babies and their mama’s connection and you can tell his mama just can’t get enough of him. I got to meet his grandma too and she lives pretty darn close and so happy to have another grand baby that she gets to see often. 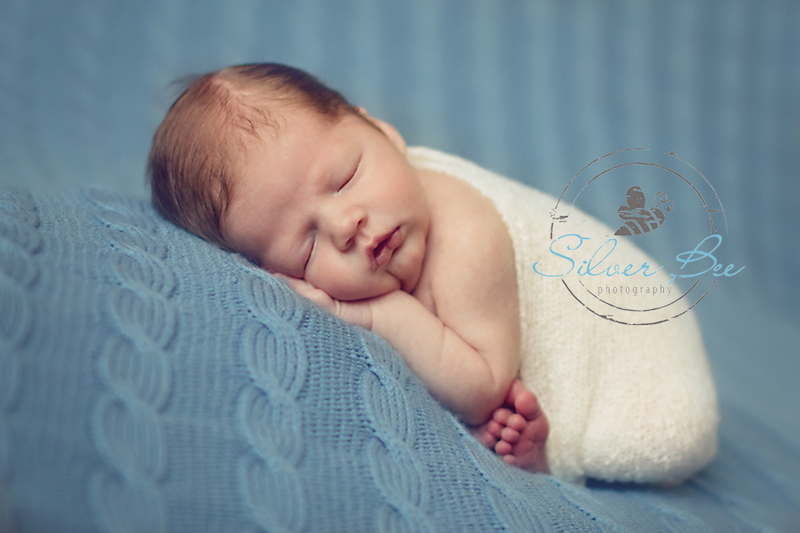 He is a blessing all the way around and I am fortunate and honored to be his newborn photographer. Oh, I think I will go ahead and add one more! He’s a happy little dude.